> Articles > Smart drugs and nutrients, an interview with Ward Dean, M.D. Phil Micans interviews Dr. Ward Dean, who is perhaps best known to the public for his two best-selling books on ‘Smart Drugs & Nutrients’ (versions I and II) in the early 1990’s. Dr. Dean graduated from the US Military Academy at West Point in 1967, and served in the Infantry for six years, posted to both Airborne and Ranger forces. He obtained his medical degree from Han Yang University in Korea in 1978, and returned to the Army as a Flight Surgeon for the elite Delta Force from 1982-1985. Dr. Dean later transferred to the Navy, from which he retired as a Commander, in 1996. Dr. Dean is one of the foremost physicians in antiaging medicine today. He is a true pioneer of the movement and an expert in biomarkers, having published what is still considered the Magnum Opus on the subject--‘Biological Aging Measurement--Clinical Applications,’ published in 1988. Dr. Dean is also responsible for bringing the ‘Neuroendocrine Theory of Aging’ to the attention of the world, having co-authored its release with Professor Vladimir Dilman in 1992. He has recently returned to his former position as Medical Director for the Watson Clinic, in Milton, Florida. Here in this interview, Phil asks Dr. Dean about his current opinion about nootropics and their role in aging. Phil: Dr. Dean, it’s a great pleasure to be able to talk with you today. I’m sure I’m only one of many people who have missed your presence on the scene for the past six and one half years, while you endured the hospitality of a federally-funded, secure ‘gated community.’ If I may, I’d like to chat about one of your favorite topics-the nootropics, or the so-called ‘smart drugs.’ Unbelievably, your two best-selling books are 20 years old now. They’ve sold very well- considering that they were, after all, technical manuals, albeit designed for the public on how to help improve and preserve memory and cognition. Were you surprised at the response you received? Dr. Dean: First, you're correct that the books were, in essence, ‘technical manuals.’ I wrote them for my patients, to save my time and theirs, in explaining various cognitive-enhancing drugs and nutrients that I was recommending for them. Although I initially planned a press run of about 500 copies, John Morgenthaler, my co-author and publisher had grander visions. As a result of his creative publicity and marketing skills, the books sold in excess of 250,000 copies each. We had obviously hit a sensitive nerve; we discovered that there was a large number of people out there-more than just my patients- who were concerned about their cognitive processes and memory. These were people of all ages, most of whom weren’t suffering from a ‘senile’ dementia--they just weren't as sharp as knew they could and should be-or had formerly been-and therefore received no advice or treatment. By publicizing the available cognitive enhancing drugs and nutrients, and explaining their mechanisms of action, dosages, and sources, we’ve been able to help people who were clinically cognitively impaired, as well as those who were considered to be ‘normal.’ The appropriate use of an assortment of various cognitive enhancing drugs and nutrients has improved the memory of many people, and taken them to new levels of alertness, cognition, attention and focus. It's been very gratifying to hear stories of those whose lives were completely turned around with the use of these nutrients and drugs. And at the same time, I wonder if the producers of the movie ‘Limitless’ weren't among the readers of my books! Phil: At the time your books came out, you highlighted a number of substances that were available in Europe, such as piracetam and centrophenoxine, but that were not available in the States. Has anything changed since then and if not why not? Dr. Dean: Some things have changed. For example, when the books came out, DHEA was available only by prescription through compounding pharmacies; Acetyl-L-Carnitine was available as a drug in Europe (especially, Italy), but nowhere in the U.S.; Vinpocetine was only available as a drug in Hungary; and Idebenone was an expensive pharmaceutical drug available only in Japan by prescription. Of course, all of these formerly ‘exotic’ cognitive enhancers are now available over the counter as dietary supplements in the U.S. 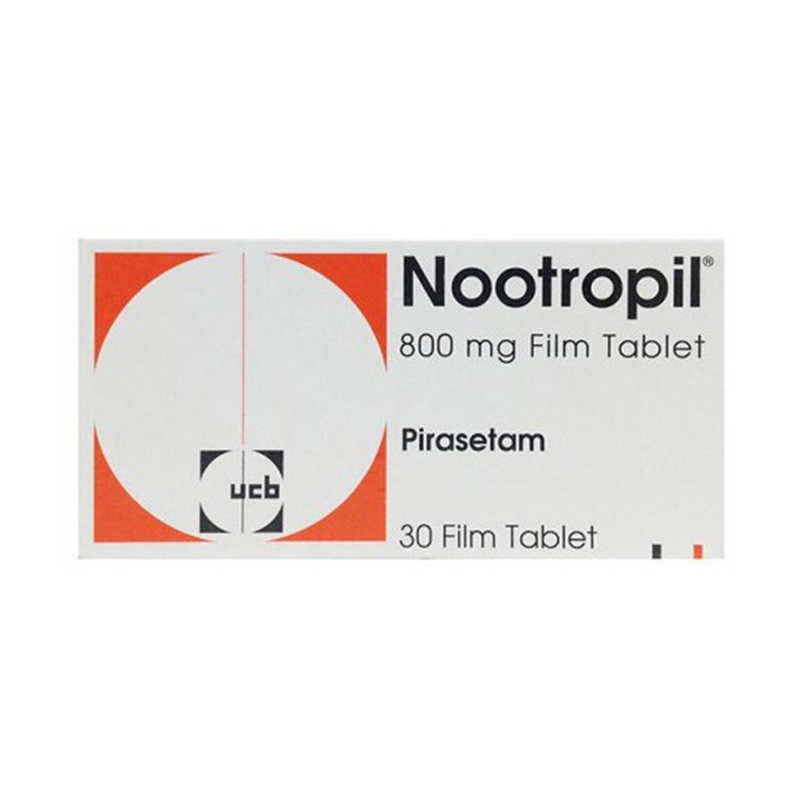 However, drugs like Lucidril® (centrophenoxine), and piracetam and related nootropics are still not marketed in the U.S., although they are widely used in Europe and Asia. Unfortunately, as the patent protection on these drugs has expired, no pharmaceutical company will now pursue them for approval in the U.S.
Phil: So, does that mean there are newer and better drugs now available on the US market? Dr. Dean: Not really! There are several relatively new drugs that may offer potential benefit for Alzheimer's patients that are now available in the U.S. One is Radazyne® (U.S.), Reminyl® (Europe). Its generic name is galantamine, an extract of the snowdrop herb, which acts as a reversible acetylcholinesterase inhibitor. Another anti-Alzheimer drug is Namenda® (U.S.), Ebixa®(Europe) or memantine, an NMDA receptor blocker). However, I'm not convinced that these newer, relatively expensive drugs have any demonstrable advantages over older, less-expensive alternatives. Also, highly popular and very effective alertness-promoting drugs such as adrafinil, modafinil (Provigil®), and the most recent entry in this class, armodafinil (Nuvigil®) were not available when the books came out. I would be remiss if I didn't mention the situation involving the unlawful and heartless imprisonment of Jay Kimball, the manufacturer of Liquid Deprenyl Citrate (LDC). LDC was a breakthrough, unique antiaging, cognitive and libido-enhancing substance. It was indicated primarily for the prevention and treatment of Parkinson's and Alzheimer's diseases, but also was highly recommended as a health-promoting, antiaging nutrient. Mr. Kimball was the President/CEO of Discovery Experimental and Development, Inc (DEDI), who courageously manufactured and sold LDC--a clinically superior and far less costly version of the pharmaceutical selegiline product, deprenyl hydrochloride. Mr. Kimball's product, formerly sold by IAS, was in direct competition with the pharmaceutical product manufactured by a subsidiary of Sandoz, which at the time was the largest pharmaceutical company in the world. Mr. Kimball was really going up against ‘the big boys.’ After 9 consecutive Grand Juries refused to indict him, the prosecutor persevered with a 10th grand jury which finally issued an indictment. The original charges were five counts of ‘misbranding,’ which was a misdemeanor, for which Mr. Kimball could have served a maximum of 3 years in prison. However, by the end of the trial, the judge and prosecutor had somehow elevated the charges to felonies-Defrauding the FDA, and Money Laundering, with an enhancement for public endangerment- although there was no evidence whatsoever that anyone had ever been harmed by LDC. Mr. Kimball was wrongly convicted and illegally sentenced to 13 years imprisonment! The Life Extension Foundation has recently published an article about Mr. Kimball's case. Phil: Yes, that's definitely a tragic story of a government out of control. We strongly support Mr. Kimball, and hope for his early release. Many of our customers who had used his product reported near-miraculous, life-saving improvements. In this regard, some argue that drugs designed for the treatment of senile dementia- such as deprenyl- shouldn’t be taken by what orthodox medicine considers ‘normal’ individuals. What’s your opinion? Dr. Dean: Phil, as we grow older, there are age-related alterations in blood flow, neurotransmitter levels, neurotransmitter receptor sensitivity changes, accumulation of cross-linkages and cell function-impairing substances like lipofuscin, and impaired intra-cellular mitochondrial efficiency. All of these contribute to impaired cognitive processes, and cognitive-impairing diseases like Alzheimer's and Parkinson's diseases. Most of the smart drugs and nutrients that we recommend tend to reverse or normalize these age-related changes. Thus, in proper dosages, I think most cognitive-enhancing drugs and nutrients can be taken by almost everyone, with very few exceptions. These substances are generally extremely safe, with few (if any) adverse effects, and are designed to be taken indefinitely (as opposed to antibiotics or other drugs that are designed for short-term courses). 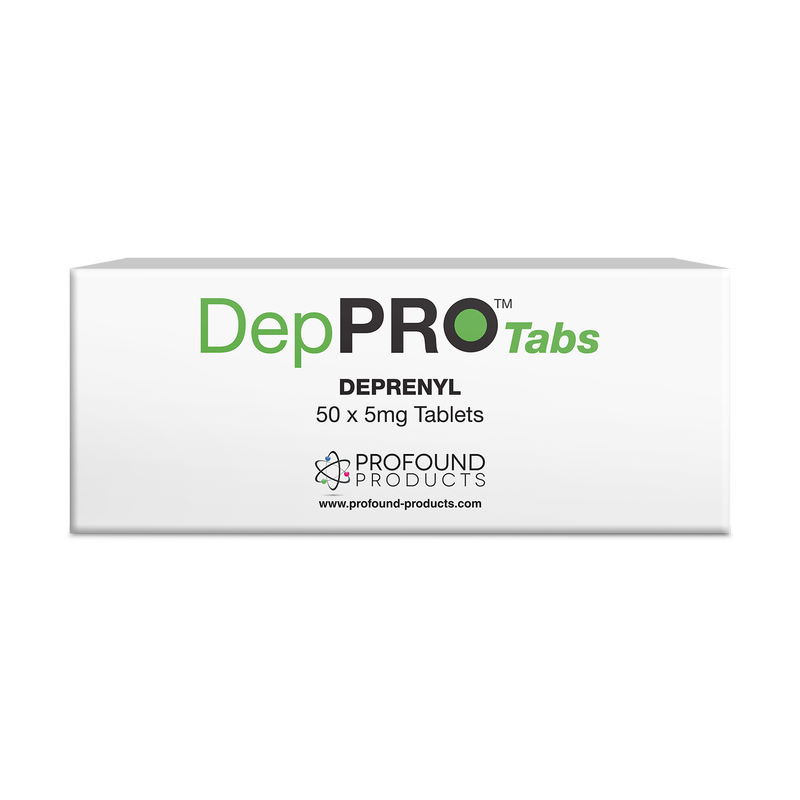 As for deprenyl, even Professor Knoll, who invented it in the 1960s considers that it should be taken in small quantities regularly by persons over the age of 40 to increase dopamine receptor sensitivity in the brain (just as metformin restores insulin receptor sensitivity in the muscles and liver). At one of the Monaco antiaging conferences, Professor Knoll revealed to me that although the traditional thinking about deprenyl was that its primary mechanism of action was as a reversible Monoamine Oxidase B inhibitor, its major benefit is really because of its unique ability to restore Dopamine receptor sensitivity. Similarly, Professor Imre Nagy, the developer of centrophenoxine, has been taking centrophenoxine for over 40 years. He recommends it as a highly effective antiaging, cognitive enhancing drug, to prevent and remove the accumulation of cell-clogging age pigment (lipofuscin)- the pigment that causes ‘liver spots’ (but which accumulates in every cell in our bodies as we get older-especially the heart and brain). Phil: Do you have any particular favorite smart drugs and nutrients? Dr. Dean: Of course. I'm a doctor who practices what he preaches. I regularly take a variety of ‘smart’ drugs and nutrients, for their multiple benefits, including hydergine, phosphatidylserine, vinpocetine, acetyl-L-carnitine, Nootropil® (piracetam), and centrophenoxine or DMAE. Also, I occasionally use vasopressin nasal spray, and modafinil-although the expense of modafinil discourages me from taking it as often as I would like to. In that regard, I recommend adrafinil as a less expensive alternative. Phil: I think it’s obvious that we are nothing without our mind; but how important do you rate smart drugs and nutrients in an antiaging medicine regime? Dr. Dean: I rate them very high. It's tragic to see the number of otherwise physically healthy patients with Alzheimer's and Parkinson's diseases. But even more important, and more common, are the numbers of people who suffer from ‘age-related memory impairment’--people who are ‘normal’ for their age, but realize they are not as ‘sharp’ as they used to be (or could be). It's very gratifying to see these folks return to their former (more youthful) state of cognitive ability. Phil: I’m sure a lot of people out there would warmly welcome an update from you. What are the chances of a Smart Drugs III book? Dr. Dean: I've been discussing this with John Morgenthaler, my co-author. I also hope to write more for IAS about this subject. Phil: I for one truly hope so. It’s been great talking with you today, Dr. Dean. Thank you very much, indeed. Dr. Dean: Thank you, Phil. My pleasure. I look forward to talking with you again soon.